LAZZATI — High Performance Boring Mills is happy to announce the new Table Type Milling Boring Machine of the Linea T-Type. 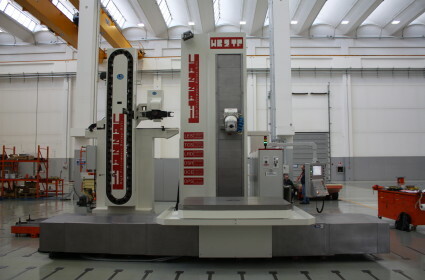 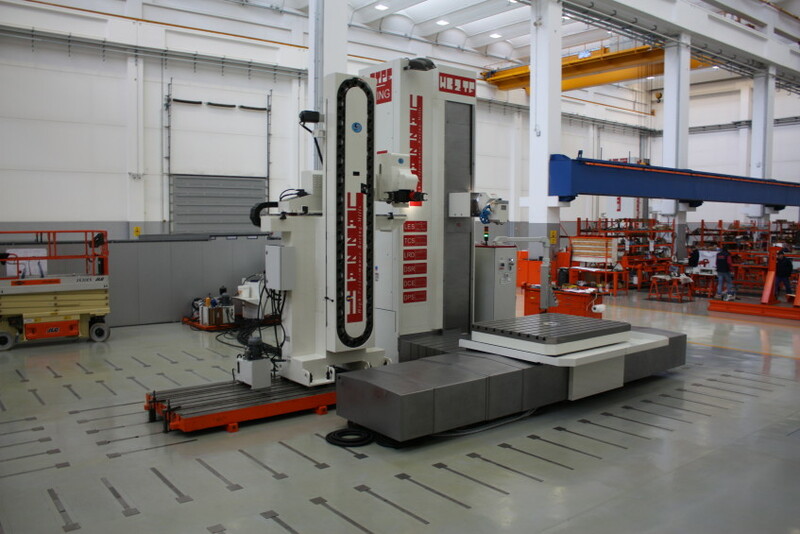 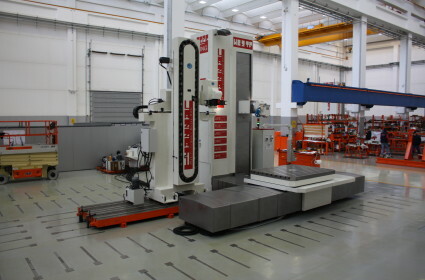 The machine born with a Fixed extended Ram which let the built in installed A UA 360 — Automatic Universal Head 1° x 1° to overcome the table center both in vertical and horizontal position. 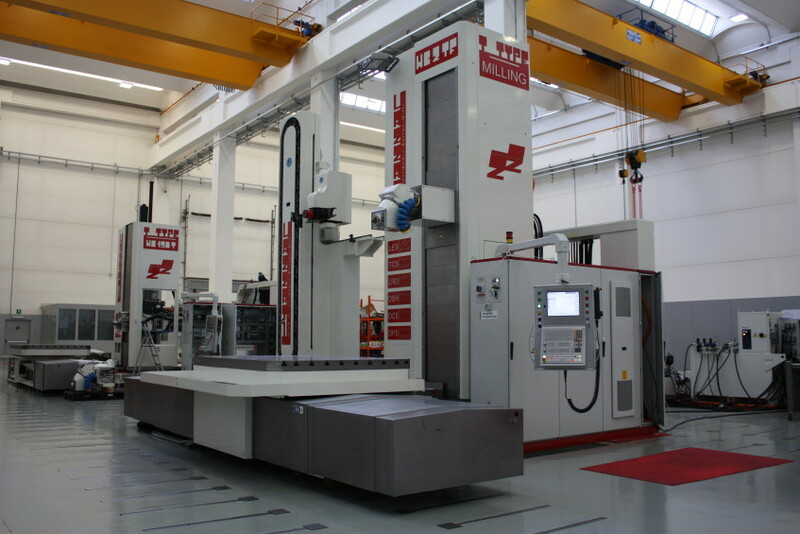 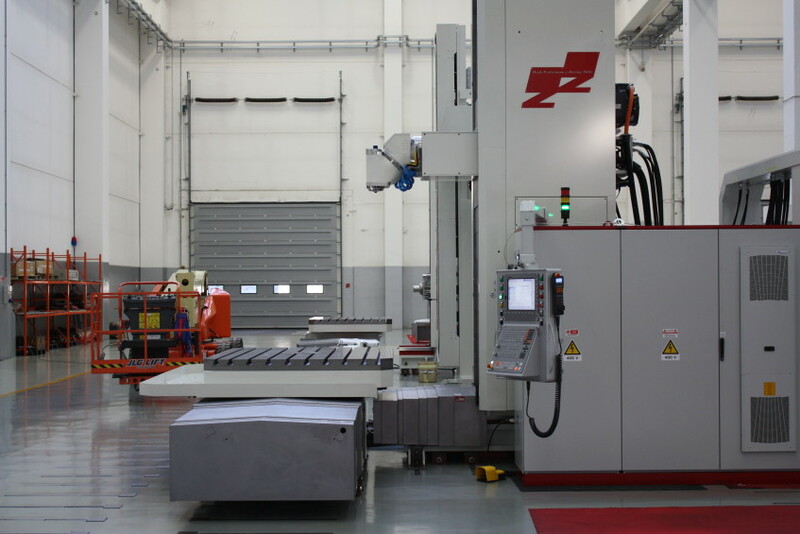 The very rigid and powerful Lazzati universal head let 4.500RPM with 75kW power and 3.220Nm torque which together with the high pressure coolant CNC controlled 35 BAR internal/external is giving to the HB 2TF the highest flexibility for every kind of machining process. 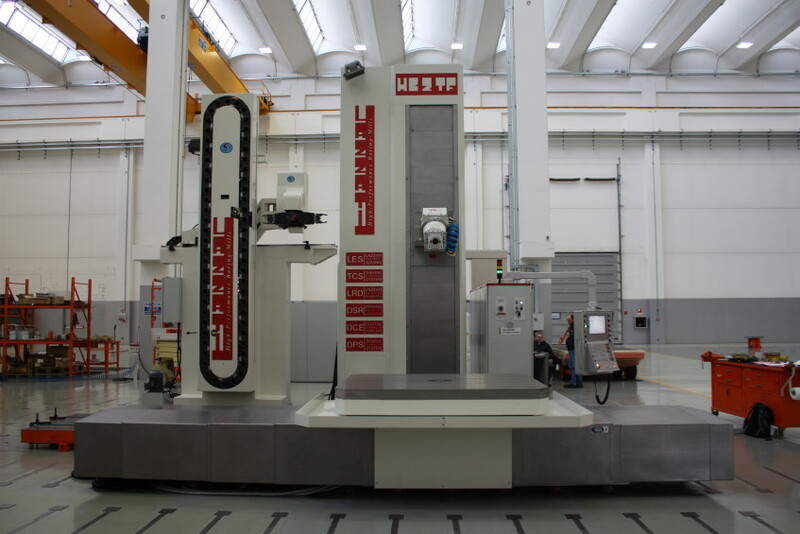 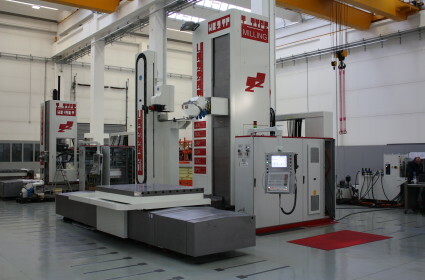 A LAZZATI table is positioned in front of machine with possibility to choose between 15 or 30 Ton of admitted load for a wide range of machining applications. 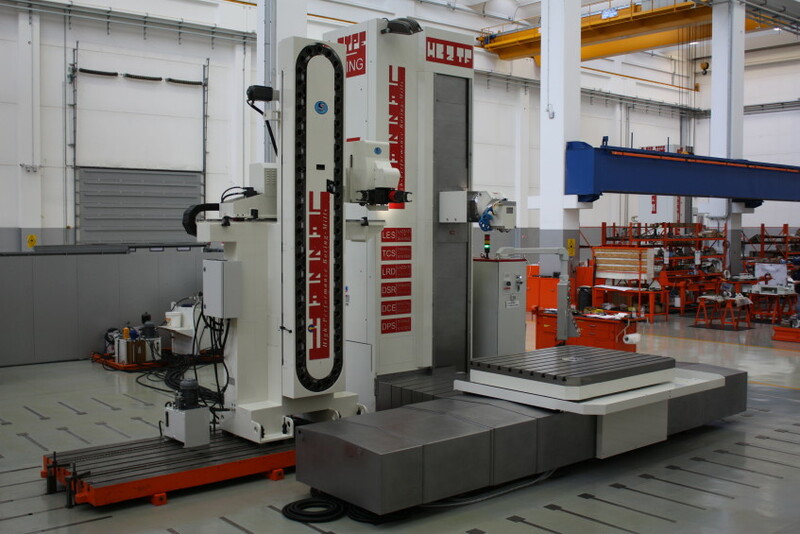 All the HB 2TF axes are equipped with the LHS-T LAZZATI Hydrostatic System for Table Type machines which permit the highest power, precision and rigidity.